Black nodized aluminum adapter sleeve is threaded with 14MM metric threads to match 1994-04 inner tie-rods. 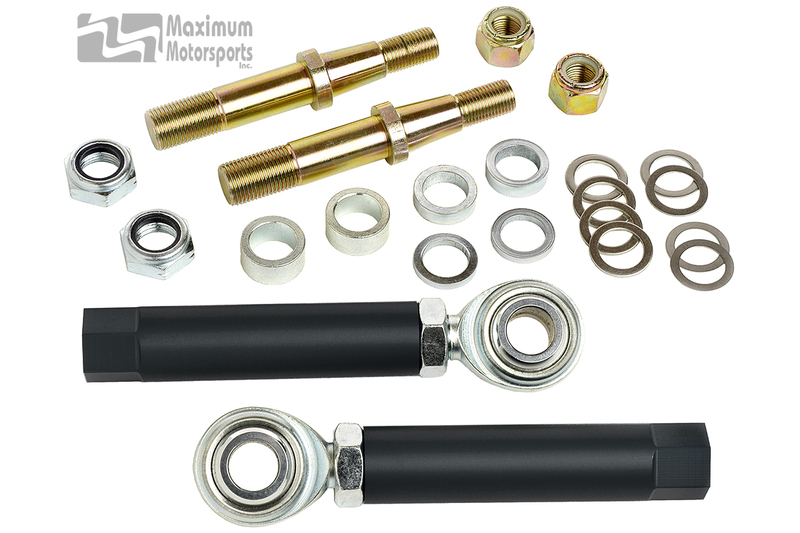 Bolt-through style (MMTR-3) bumpsteer kit is required for MM K-members. 1994-04 Mustang with manual steering rack requires the MMTR-2 bumpsteer kit.